Have you tried the Wooly Betty? Meet the new WOOLY BETTY. 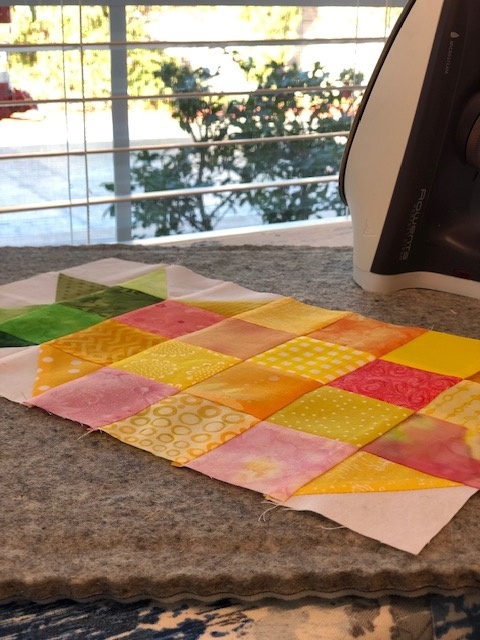 I love trying new notions and quilting products and when I find one that is really amazing, I’m excited to let other quilters know so they can benefit from a great product recommendation. Recently I discovered such a fabulous find I want to shout it from the rooftops! 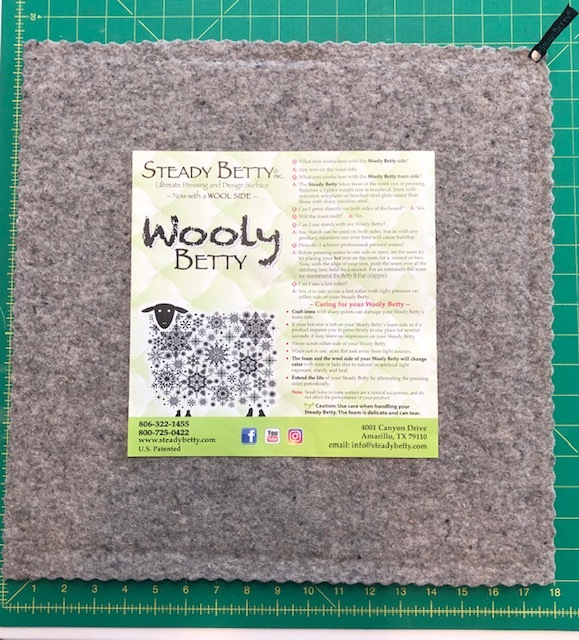 You may be familiar with all the terrific products by Kathy Purdy of Steady Betty, and you may even have your own Steady Betty. But have you seen the new Wooly Betty? 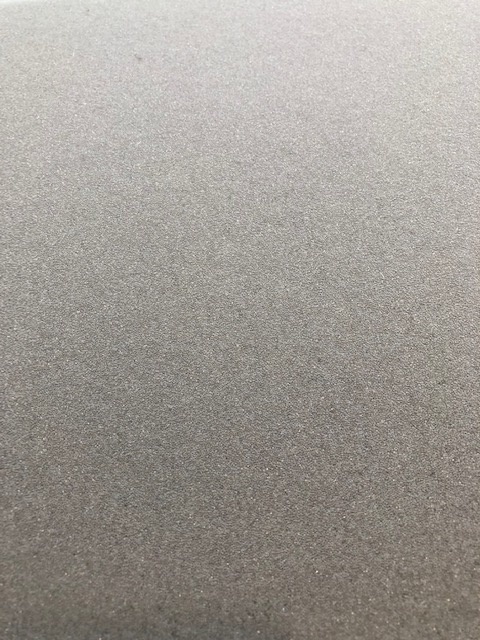 One side is high-grade foam, like the Steady Betty, which is perfect for holding fabric pieces in place. 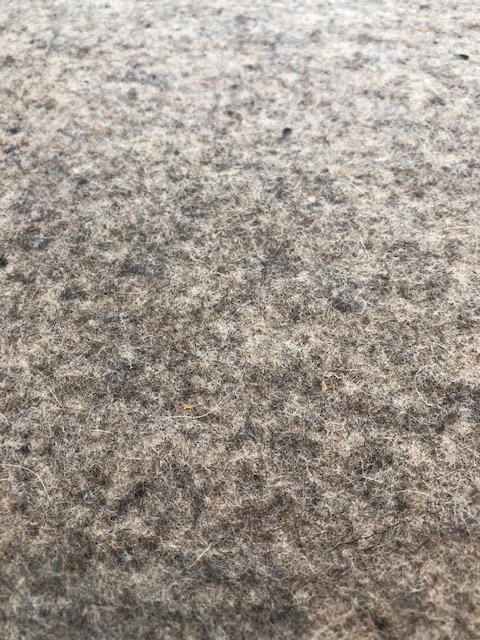 The other side is thick, high quality wool which is perfect for pressing with steam! Last November at Quilt Festival my good friend, Susan Cleveland, told me to run over to the STEADY BETTY booth and pick up one of their newest products, the “WOOLY BETTY.” I picked up a couple of these multi-use boards, took them back to my classroom, and put them out for the students to try in class. The students LOVED them which, of course, was no surprise. 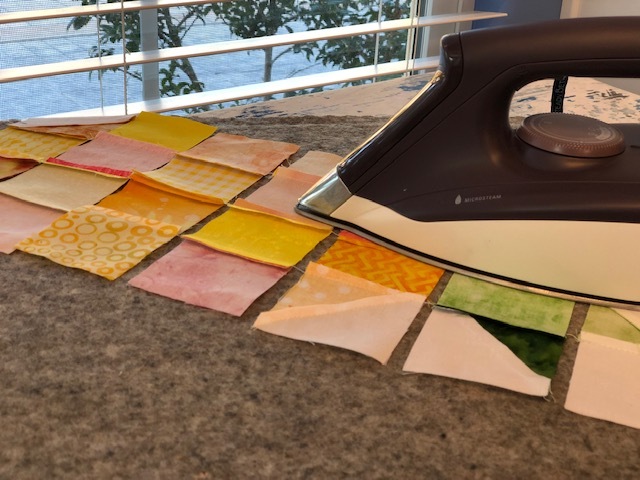 I’ve used a Steady Betty board (with foam) for years; it is fabulous for so many uses! But until today, I hadn’t actually had a chance to use or test-drive the WOOLY BETTY myself, in my own studio. 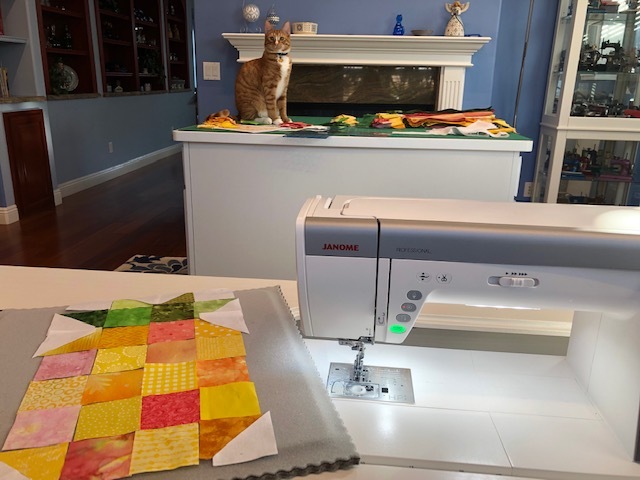 When I was preparing to sew this morning I realized this was the perfect opportunity to put my new Wooly Betty to the test since I had many little pieces I needed to transport from the cutting table to the sewing machine without changing the layout. You might notice a roving cat decoration in the background. That’s Cheeto. 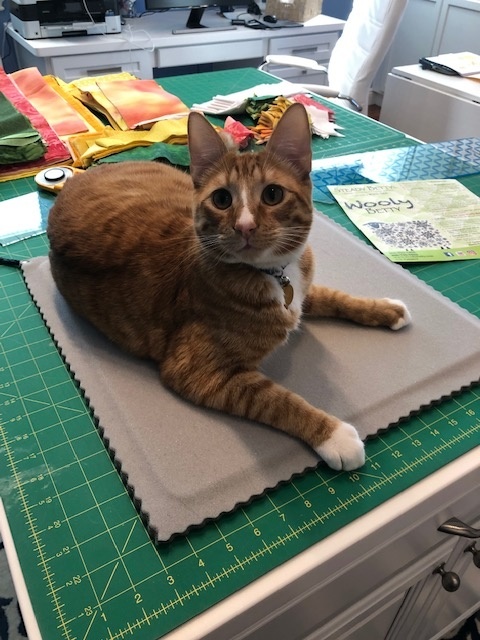 He’s my ‘helper’ in the studio. I use the term “helper’ lightly. The wooly side is PERFECT for pressing nice, crisp seams without leaving any “shiny” marks on the fabric! And it is truly steam-friendly! It is so easy to piece all the rows at the sewing machine, then move the Wooly Betty to the ironing board for pressing. This saved me oodles of time and hassles! They have two sizes of Wooly Betty’s, so pick the one that is right for you. (Or get both!) I love the larger size, which is 18″ square. To order your very own Wooly Betty, simply CLICK HERE. And of course, it is Cheeto approved. This is one product you’ll use over and over. Take it from me. And Cheeto. 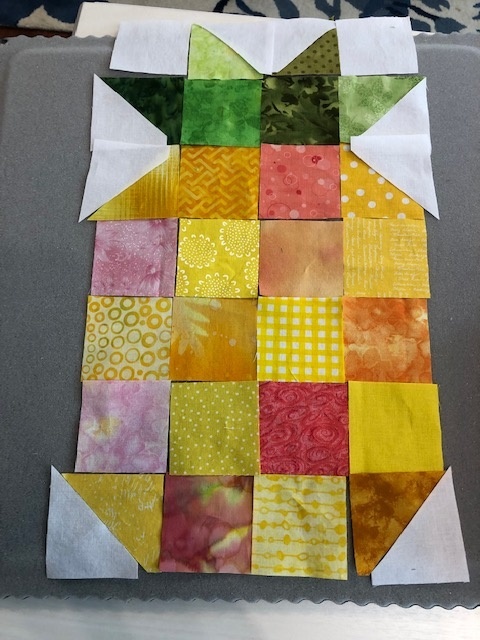 Hi is the quilt you showed in your class available! You mean the pattern? Not as of yet, but hopefully soon!